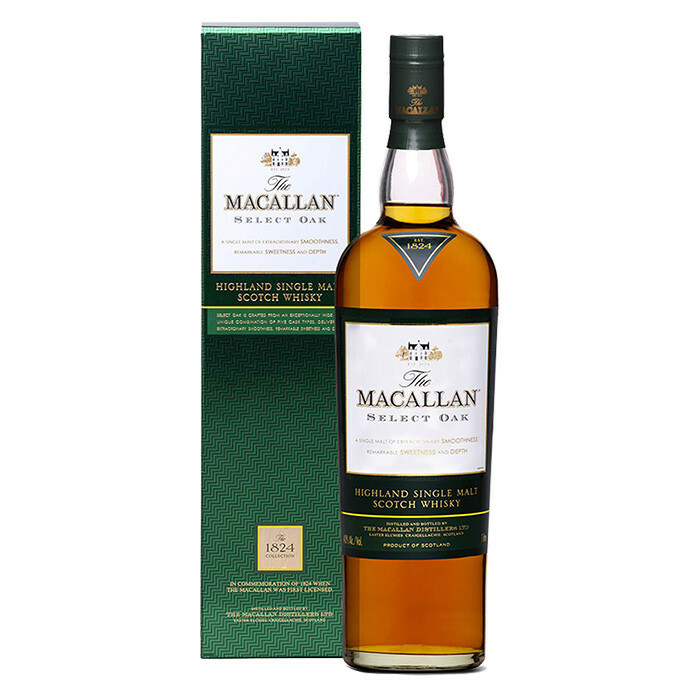 The 1824 Collection is a range of Macallans released for the travel retail market. The Select Oak edition is a complex combination of first-fill European oak casks seasoned with oloroso sherry, and American oak casks seasoned with either oloroso sherry or bourbon. Nose: Vanilla, butterscotch and a hint of damson. Palate: An effortless balance of vanilla and sweet spice. Finish: Medium sweet and luxuriously long.